Havana Cuba has a range of places to eat from government owned restaurants to privately held paladares in people's homes. Check out all of them to get a taste of the food in Cuba. Now that I've covered what to see and do in Havana, it's time to eat. There's no shortage or restaurants in Havana. You can choose from government operated restaurants or paladares, privately owned homes that the government allowed to open up back in 1997. It's good to dine in both types of Cuban restaurants to see the difference in taste and quality. I was told to keep my expectations in check when dining in Cuba. After all, they've been an isolated country and they really don't grow the things we're used to seeing in CA, or even the US. I had to say goodbye to my leafy greens and kale salads and prepare for a lot of rice, plantains and root vegetables like yucca. The other thing I had to get used to when eating in Cuba was a lack of spice. They don't grow many herbs there and subsequently have developed a fairly neutral palate. A few locals I spoke to said that they don't like spicy food, which one could argue is because they didn't grow up on it. So there's not a lot of pronounced flavor in the food. And yes, I'll come right out and say that it's often bland and unmemorable. 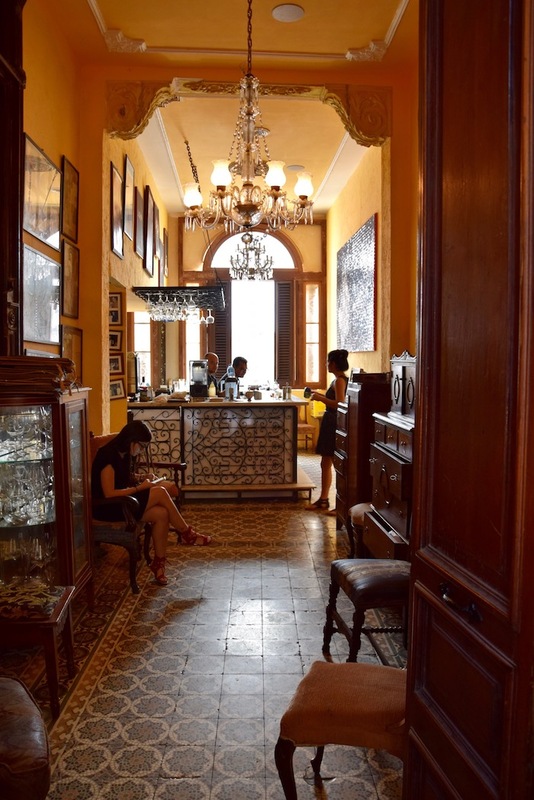 So knowing the food isn't going to blow you away, choose restaurants in Havana that have great atmosphere. 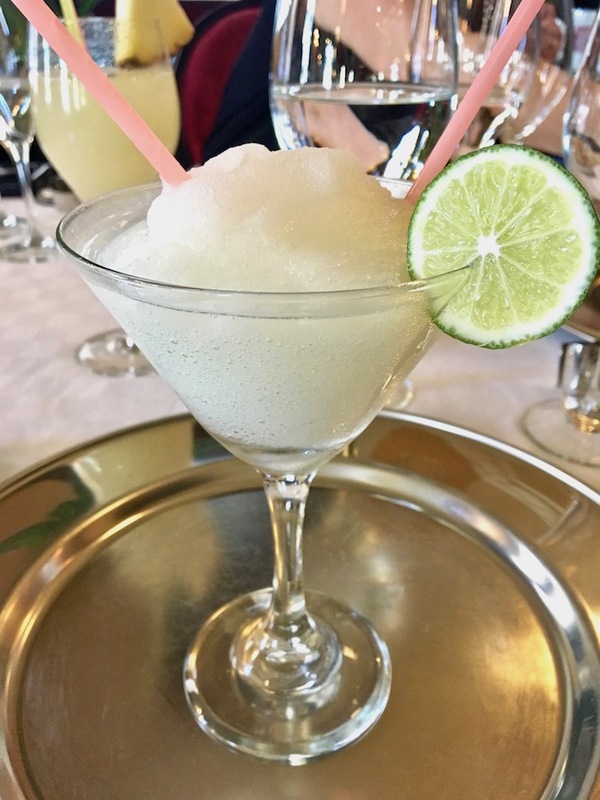 There are some fun spots to enjoy a tasty cocktail and some of the local dishes. 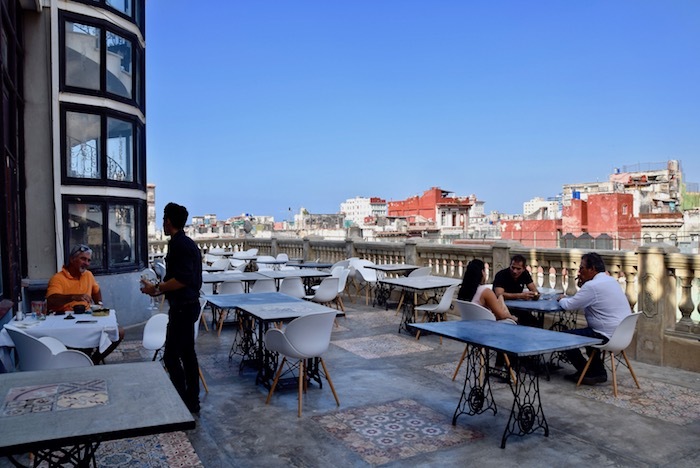 Here's a few Havana restaurants that I'd recommend. Obama, not to mention Jay Z and Beyonce, dined at the paladar San Cristobal when they visited Havana, so I figured if it was good enough for American royalty, it'd be good enough for me. You can't help but smile walking in to San Cristobal. There's so much to look at, and process. Dozens of old clocks sit next to religious artifacts and musical instruments and photos of notable Cubans. The linens and upholstery are mismatched in the best, most colorful way. The food? It's fine. 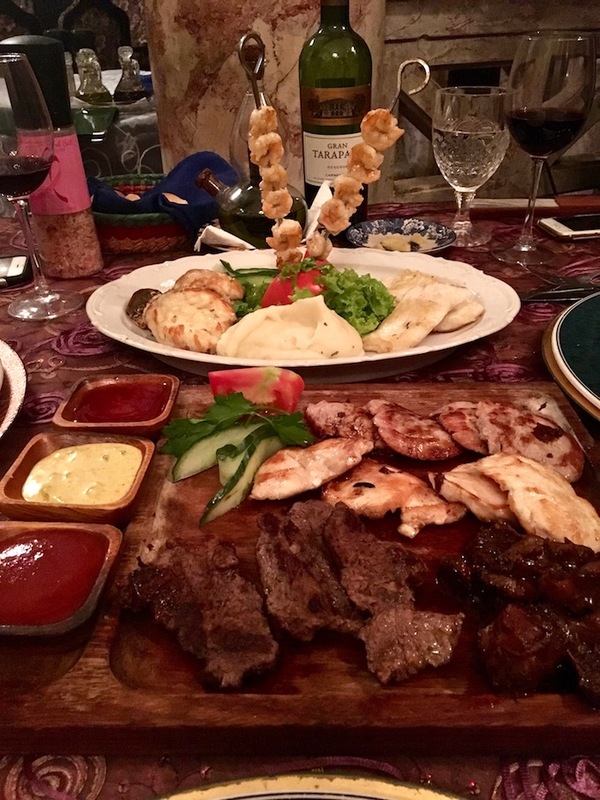 They do presentation well at San Cristobal like with their sampler appetizer platter and main course dish, presenting the best of the menu. The beauty is that if you don't like one item, there's several others to try. You usually see pork, chicken and steak as the proteins on most menus. The cuts tend to be on the cheaper side so they're a bit fattier and less tender than what you're likely used to, but San Cristobal is still a fun time in a lively setting. La Guarida is one of the most well-known paladares in Cuba. 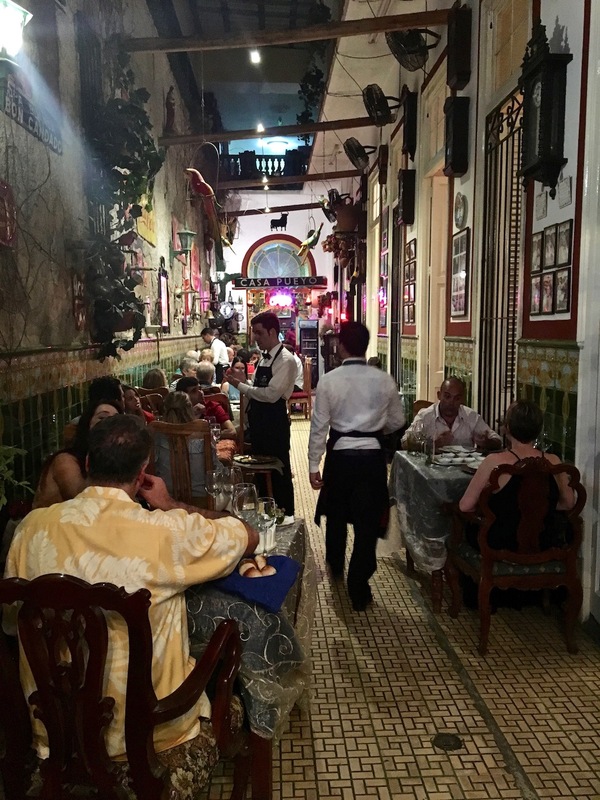 It's located in Centro Havana so you'll walk through a residential doorway to get to the restaurant. 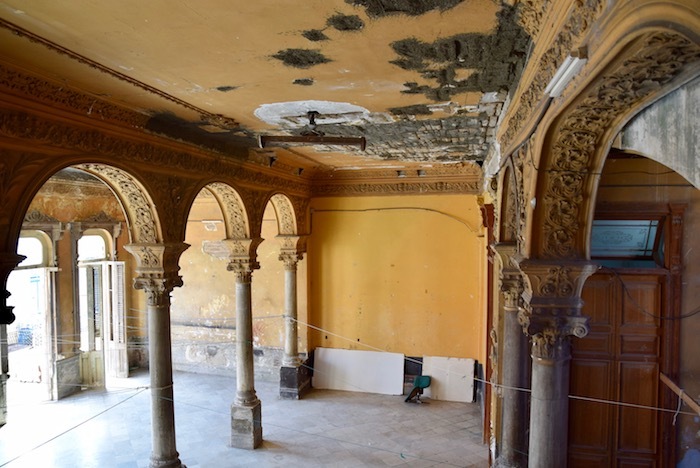 The beautifully crumbling walls shelter open rooms as you climb the 2 floors to La Guarida, perplexed at how a well-known restaurant is ever going to appear. At the top, a long hallway reveals different kitchens on one side and an outdoor patio with sweeping Havana views on the other. 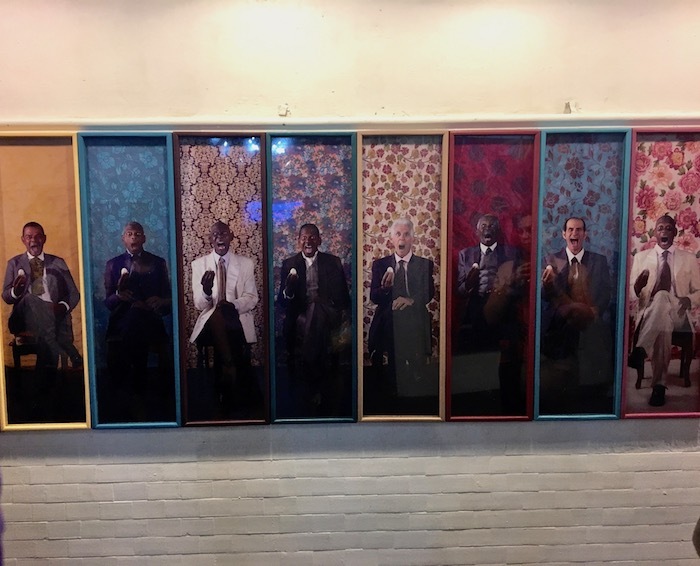 At the other end, a beautiful bar sits between two indoor dining rooms, filled with pictures of dignitaries on the walls. Sadly, we were unable to dine at La Guarida since they book up early and my trip to Cuba was semi-spontaneous. So if you do want to eat at La Guardia, be sure to reserve several weeks in advance, and allow for internet outages. It took La Guarida about 5 days to turn me down, twice. The government operates Cafe del Oriente and many a visiting dignitary and diplomat has dined here. It's white tablecloth, tux-wearing waiter classy. We popped in for lunch and were treated to award-winning cocktails and perhaps my favorite fish dish. It was a simple piece of white fish that was cooked in butter (you can never go wrong with butter sprucing things up, right?) with a hint of salt and pepper. I tasted flavor and was excited. They also have a cheaper, casual restaurant around the corner, Jardin del Oriente. This Paladar is in Vedado, not too far from Hotel Nacionale. It doesn't have the panache of San Cristobal or La Guarida, but it does have solid food, cooked in front of you. 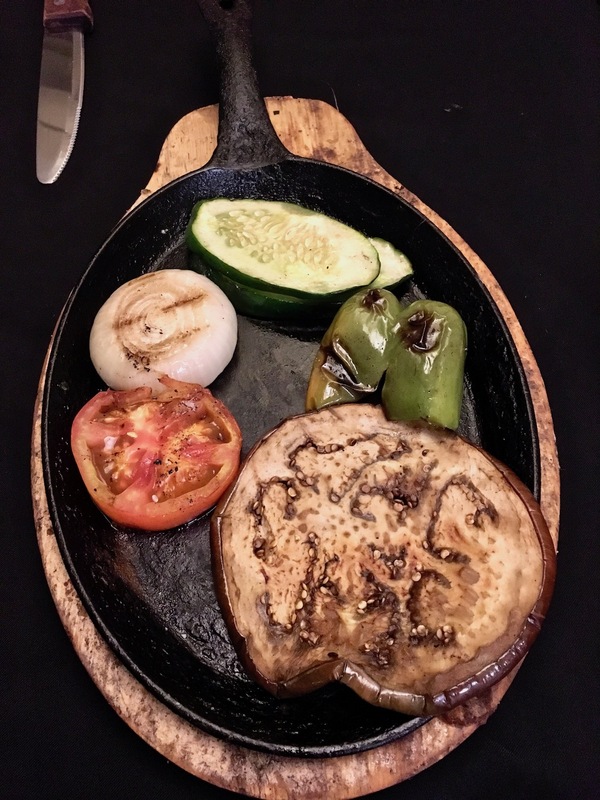 There's a large open grill in the dining room, working non-stop on the usual steak and pork suspects, but they also have a variety of seafood that you'll also see in other Cuban restaurants. Surprisingly, lobster is a mainstay on many menus in Havana. 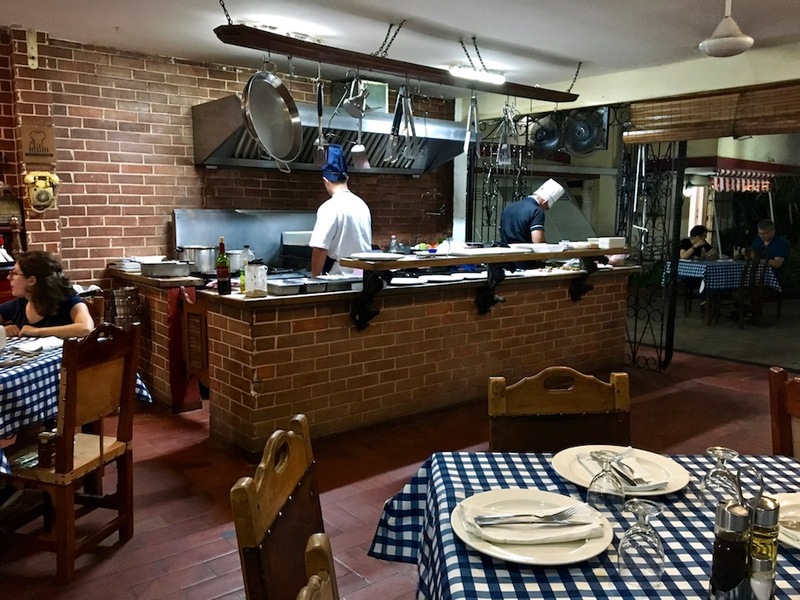 It's reasonably priced as is much in Cuba, and well-cooked at Paladar El Idilio. Between me and my two friends getting starters, mains, cocktails and wine at dinner, we could never spend more than $100 total at any meal, as much as we tried. The electricity went out while we were dining at El Idilio, mid-way through our meal. The waiters didn't miss a beat as they turned on cell phone flashlights and placed them in their shirt pockets to blaze a trail. This wasn't their first rodeo, and the outage didn't last long. 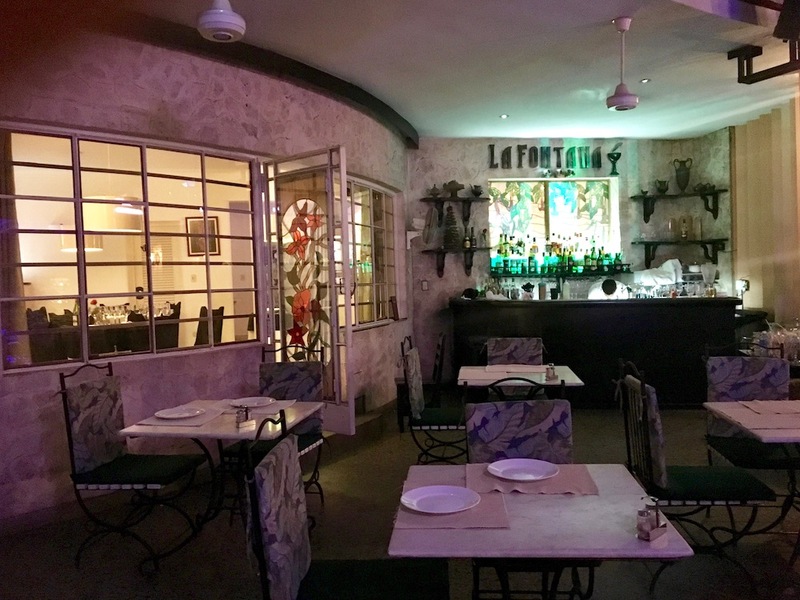 Paladar La Fontana is a pretty oasis in the Miramar neighborhood of Havana. Our taxi driver was stopping people on the street to find it as it literally is in the middle of a neighborhood block with other houses and buildings tucked around it. Walking through the door, you find yourself in a lush green garden with small fish pools running throughout. We sat in a nice air conditioned room that I'm guessing might have been the living room at one point, but there's also a big bar area and tables on the patio. A wonderful group of musician performed as we enjoyed classic mojitos. I was ready to dive into the local pork here, but sadly they were out. Many restaurants run out or simply don't have everything on the menu, so it's always good to check before getting too attached to a dish. I will say, La Fontana was the one place I could get some proper vegetables and it was the only restaurant in Havana where I could get greens! You can eat at Fabrica de Arte in the casual tapas bar in the back of the large building, but I'd recommend coming here post-dinner. You can also dine at the trendy El Cocinero, housed in the same enormous cooking oil factory, next door. We went to Fabrica de Arte after eating at La Fontana, which is a short taxi ride away. It was almost a long walk as we had a tough time getting the restaurant to call us a taxi. Our waitress told us that "she didn't know anyone," and another said, "uh, maybe my brother can do it," and a third recommend talking to the bouncer/security guy out front. When we asked the bouncer, he pointed across the street. We walked with some confusion a few steps and then the security guy jammed 4 of us into a smart car built for 1, and he took us to Fabrica de Arte. 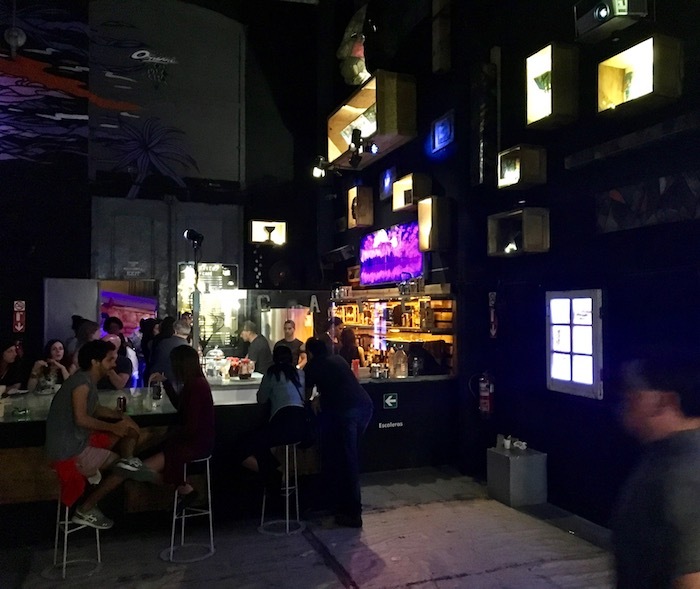 Take whatever transportation you can find, and get yourself to Fabrica de Arte. Fabrica de Arte is an enormous, multi-story art gallery with paintings, sculptures and unique installations. They also have bars in the front and back of the place, selling cocktails. You can buy clothes and jewelry, or you can just rock out to the music playing everywhere. There's a DJ in one room and there was a full orchestra playing in the tricked out back room that was full of famous musicians' pictures and records on the walls. 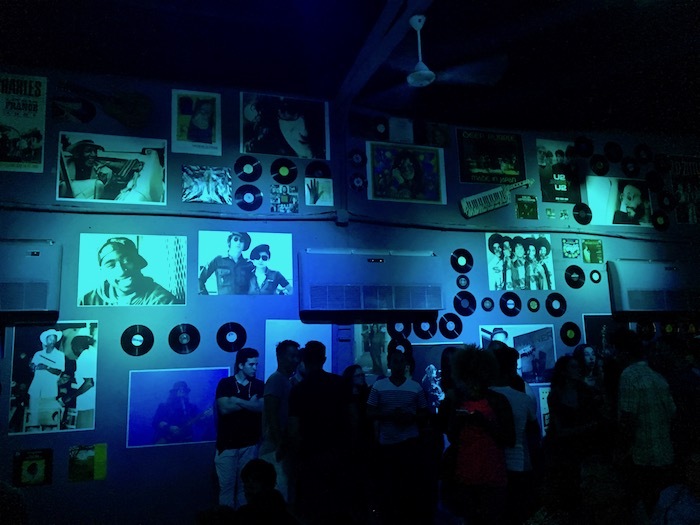 Fabrica de Arte is only open Thursday - Sunday from 8pm - 3am and it's a fun way to take in the Cuban nightlife and culture. We're now going to be leaving Havana, and heading through the country to see Cienfuegos next.